Since combining four companies a year ago, provider of marketing and technology services Affinitiv announced Tuesday it has finalized its executive team and will soon introduce an integrated platform that offers dealers an end-to-end marketing solution. Last year, the merging companies included DPS, Peak Performance, OneCommand and TimeHighway.com. Additionally, since then, Affinitiv has also acquired WSA Solutions, a provider of wireless service-tablet software to auto dealer fixed ops departments. Affinitiv’s new solution is designed to keep car buyers connected to their dealer up until their next purchase. “We know your customers. We know what they like and what they respond to. We know where to find them and how to drive them to find you," Affinitiv executive chairman Scot Eisenfelder said in a news release. "Making the sale is just the beginning. Creating a connected customer for life requires a whole new approach. 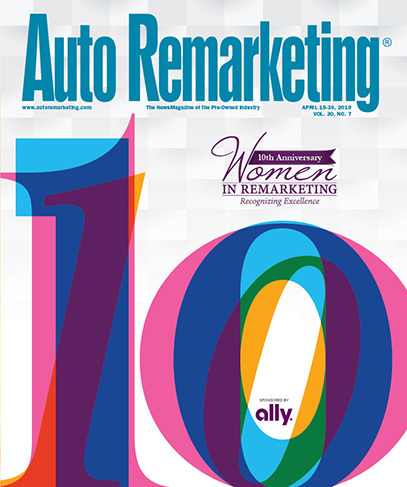 "To increase customer retention, dealers need to get past using tactics like oil change coupons to draw in customers. Our platform helps dealers understand what works and doesn't work from a communications standpoint, to keep their customers engaged and committed," Eisenfelder continued. In addition to Eisenfelder, on the heels of celebrating the company’s first anniversary, Affinitiv has brought aboard Adam Meier, Stan Megerdichian, Hans Bodine, Jillian Slagter, Karen Dillon and Kevin Winter to its executive team. Eisenfelder is a 25-plus year automotive market veteran, according to Affinitiv. Prior to Affinitiv, he held positions such as senior vice president strategy at AutoNation and senior VP of product management, strategy and marketing at Reynolds and Reynolds. Meier has been appointed chief operating officer. He has nearly 12 years of experience as chief finance officer and as a board member at Brandmuscle where he led the acquisition of four companies. As executive VP of OEM relations and strategy, Megerdichian will focus on bringing the latest technology solutions to current OEM partners, as well as forming new OEM relationships. Most recently, he was president and chief executive officer of Peak Performance Marketing Solutions, which he founded in 1991. Bodine has been appointed executive VP of sales. Previously, at Cars.com, Affinitiv said he helped to build a successful team of experts over more than 18 years. Slagter will serve as chief people officer. She brings 20 years of HR and recruiting experience to her new role. Most recently, she spent 11 years at Nielsen as vice president of HR. Dillon has been appointed executive VP of service scheduling. She has over 30 years of experience in the auto industry in various sales, marketing and executive positions, according to Affinitiv. And in 1984, Dillon became president of TimeHighway.com. Winter brings more than 15 years of experience both developing and managing automotive sales and service CRM programs for OEM clients to his new role as Affinitiv chief client officer. Most recently, he work for Epsilon where he served eight years. Prior to Epsilon, he also worked for R.L. Polk & Co, according to Affinitiv. In the past year, Affinitiv said it has garnered preferred relationships with a dozen OEMs, including: BMW, Kia, Lexus, Chrysler, Volkswagen, MINI, GM, Porsche, Mitsubishi, Audi, Volvo and Maserati.